The classic musical moves to the Gielgud in the summer. The theatre world has been all of a buzz this morning with the reports that stage superstar Michael Ball is heading back to the musical that made him so famous, Les Miserables! The curly-haired heartthrob is set to return to Cameron Mackintosh's classic musical when it temporarily moves to the Gielgud Theatre in the summer. 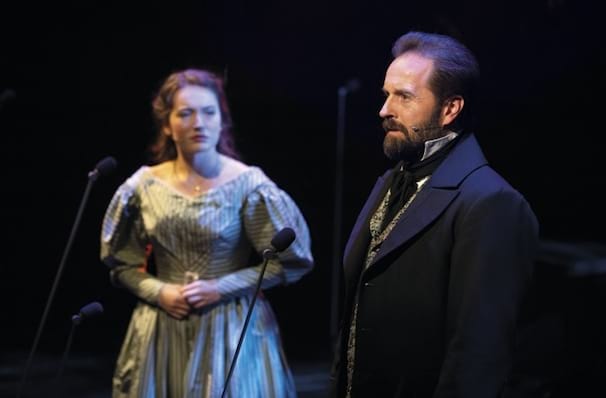 It is now confirmed that Ball (who will play Javert) will be joined by long-time friend and co-star Alfie Boe as Jean Valjean, Carrie Hope Fletcher as Fantine and Matt Lucas as Thenardier, in this semi-staged concert version of Les Miserables. Katy Secombe also joins the cast as Madame Thenardier and John Owen-Jones will take on the role of Jean Valjean for three performances a week. Jean Valjean is released from prison after almost 20 years in captivity for stealing a loaf of bread, soon after, he breaks his parole and flees to start a new life free of crime. Eight years later, he has worked hard to give himself a better standing in life. However, none of his endeavours impresses his embittered parole-officer - the bloody-minded Javert - who will stop at nothing to see Valjean behind bars once again. Like her father, Valjean's beautiful adopted daughter, Cosette, has to fight for what she wants in life when she falls in love with Marius, a student who has joined the burgeoning fight for justice in the streets of Paris. Will their love be enough to save him from disaster at the barricade. Les Miserables will play at the Gielgud Theatre from 10 August through to 30 November. View our show pages for more information about Les Miserables, Gielgud Theatre.